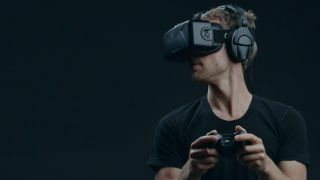 Oculus Rift CEO Brenden Iribe stated during the Code Conference that a PC and virtual reality headset shouldn't cost you more than $1,500 (£977, AU$1940) total. The company released the spec requirements Windows machines will need to run a Rift not too long ago and we estimated the final cost to reach around $1,030 (about £654/AU$1,282). It sounds like a lot, but it seems most diehard adopters will already have a nice rig and may just need to upgrade a few parts here and there - though those without a decent PC are out of luck. Apparently the of the Rift pricing will only increase if you add in the cost of peripherals to enhance the VR experience. Oculus has kept mum on controllers in the past and focused its efforts on putting forth a viable headset instead. But Iribe also mentioned that E3 2015 should answer questions about immersive peripherals. There are plenty of third-party devices that hook up to the Rift but none actually from the company itself.